Since the Wang Lijun incident in February, many Chinese Communist Party (CCP) officials who belonged to former Party leader Jiang Zemin’s hardline faction have pledged their allegiances to current Party leader Hu Jintao and presumptive future Party leader Xi Jinping. This is especially the case now that Jiang is said to be in a vegetative state and unable to influence political affairs. Jiang’s faction has effectively been broken up. Jiang’s ally Zhou Yongkang, head of the Political and Legislative Affairs Committee (PLAC), has come under internal investigation and become the target of public scrutiny. Zhou is a member of China’s ruling Politburo Standing Committee and the head of PLAC, a powerful CCP organ that is in charge of all aspects of law enforcement in China. Recently, members of Jiang’s faction have been passing information to overseas media, claiming that Jiang is still capable of impacting the Party’s leadership transfer in the upcoming 18th National Congress this fall. In the past few days, some overseas Chinese media published articles claiming that Jiang had regained his influence; he and head of the National People’s Congress Zeng Qinghong had supposedly received support from Hu Jintao and Premier Wen Jiabao to take down Bo Xilai and thus ensure Xi’s smooth transition as CCP leader. However, a source in Beijing told The Epoch Times on March 26 that Jiang is in a vegetative state, and therefore he no longer can impact the Party’s top leadership circle. Heng He, a China expert and NTD Television commentator, said that someone in Jiang’s faction has purposely made up the news. “Because many in Jiang’s faction have already chosen to side with Hu and Wen, the faction can no longer carry on. The remaining members are just trying to protect themselves from being purged quickly,” Heng told Sound of Hope Radio. It looks like Zhou Yongkang is responsible for spreading the fake news, according to Washington, D.C.-based China expert Shi Zangshan. Shi pointed out that Zhou was reported to be facing investigation, and many members of Jiang’s faction have sided with Xi Jinping. 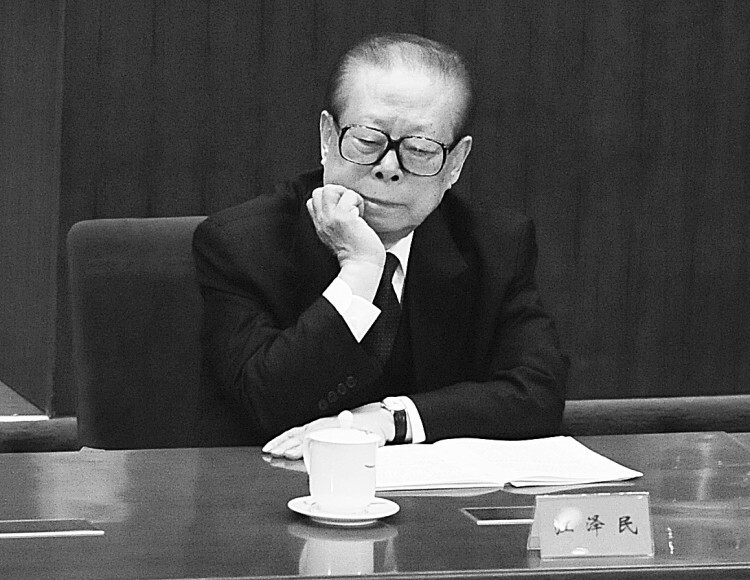 As such, “Zhou brought up Jiang in a high-profile manner in order to calm the minds of those who work for the PLAC, and also to show that he has contributed to Xi’s succession after the 18th Party Congress,” Shi told The Epoch Times. Washington Times reporter Bill Gertz cited a U.S. official saying that Wang Lijun, the former Chongqing police chief who sought asylum at the U.S. Consulate in Chengdu on Feb. 6, provided information about a plot by Bo and Zhou to upset the transition from current Party leader Hu Jintao to Xi Jinping. On April 16, Chinese state media published an article by Chinese Premier Wen Jiabao stating, “Those departments that do poor work, not handle major cases or corruption cases in a timely manner, their responsibilities must be thoroughly dealt with according to the rules.” This suggests that some major cases that had been covered up will come under scrutiny and be investigated. In recent years, several corruption cases involving astronomical amounts of money were associated with Jiang Zemin’s son, Jiang Mianheng. The Epoch Times has learned that the Central Disciplinary Commission is investigating a major corruption case that is linked to the father and son. The money involved in the financial fraud could reach as high as 1.2 trillion yuan (US$190 billion). According to the source, the investigation of the case has disclosed detailed information suggesting that this is part of a well-developed plan to a strike at the Jiang family’s corruption. Another case involved Liu Jinbao, the former president of Bank of China in Hong Kong. Liu received a suspended death sentence in 2005. In 2006, Hong Kong’s Open Magazine reported that the Switzerland-based Bank for International Settlements, which serves as a settlement bank for central banks of different countries, found an unclaimed outflow of money originating from China in December 2002 worth over $2 billion. From prison, Liu claimed that the money was transferred out by Jiang before the 16th Party Congress for his future use. Right before the 17th Party Congress in October 2007, former Minister of Finance Jin Renqing resigned unexpectedly, presumably because of the money transferred abroad by Jin and Jiang Zemin a few years ago. Hu and Wen were investigating the nearly 100 billion yuan (US$15.8 billion) in misplaced funds. 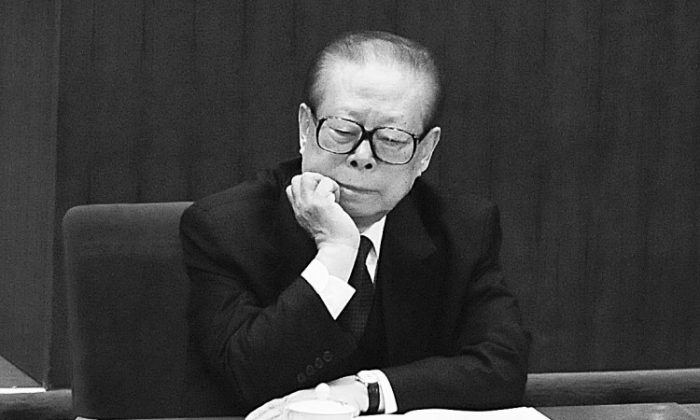 In addition, Jiang spent huge amounts of money to persecute the Falun Gong spiritual practice, and the money used was transferred directly through Jin’s hands and without the approval and signature of then-Premier Zhu Rongji. Recently, many high-ranking military officials who were previously in Jiang’s faction have declared their allegiance to Hu Jintao, including vice-chairmen of Central Military Commission Guo Boxiong and Xu Caihou, the Political Commissar of the Navy Liu Xiaojiang, Political Department director of the Second Artillery Corps of People’s Liberation Army General Yin Fanglong, and Member of Political Committee of People’s Liberation Army National Defense University Lieutenant General Liu Yazhou. Afterwards, Li Changchun and Jia Qinglin, who are members of the Politburo Standing Committee, were also reported to have turned against Bo Xilai, the disgraced former Party chief of Chongqing who is also a strong ally of Jiang. Many provincial officials have also affirmed their support of Hu. The “Shanghai Faction” which has close ties to Jiang also tried recently to break away from Bo and Zhou. Individuals such as Yu Zhengsheng, Party chief of Shanghai, and Zhang Gaoli, Party chief of Tianjin, stated that they would follow central government’s decisions over Zhou Yongkang. In addition, 39 other high-level officials have been arrested and detained after Bo was removed from his post as Party chief of Chongqing in mid-March. Judging from the recent personnel changes within the Party, Jiang’s faction has already lost its influence, according to Chen Zhifei, a China expert and professor at City University of New York. “Hu’s Youth League faction seems to have an overall control of the situation. For example, Zhou Qiang, a major player in the Youth League Faction, is said to be possibly in charge in Chongqing City after the 18th Party Congress. These are proofs that Jiang’s faction has collapsed under the immense pressure from the Youth League faction,” Chen said. “Even though some of the media still tried to boost Jiang’s influence, various signs indicate that Jiang’s faction is on the brink of collapse,” Chen added.